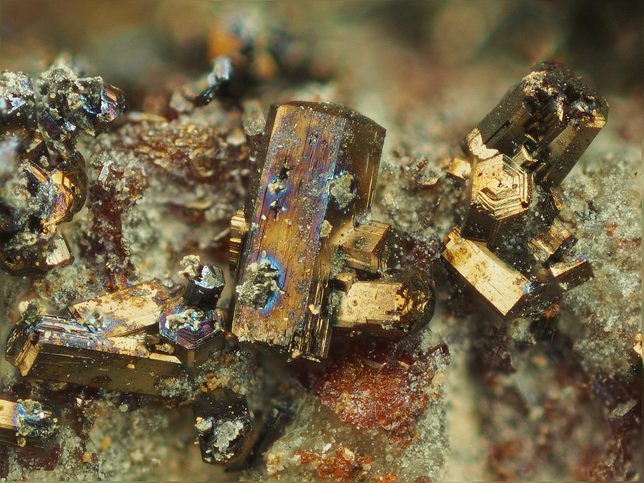 Argentopyrite: Mineral information, data and localities. Named for its relationship to pyrite and silver content. 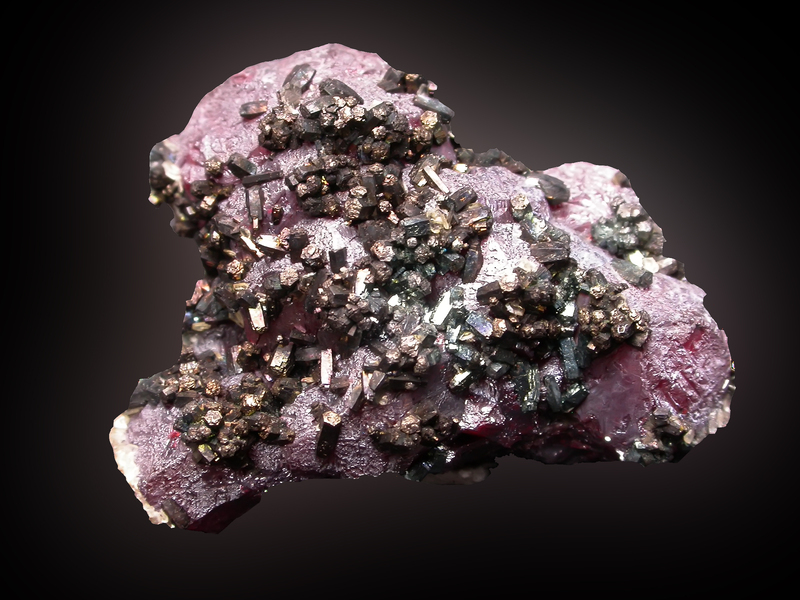 This page provides mineralogical data about Argentopyrite. Graph shows reflectance levels at different wavelengths (in nm). Top of box is 100%. Peak reflectance is 38.7%. Space group P1121/n (non-standard setting). Pseudo-orthorhombic. Originally assumed to have space group Pmmn, 6.639, 11.463, 6.452 A.
Proustite 31 photos of Argentopyrite associated with Proustite on mindat.org. Calcite 8 photos of Argentopyrite associated with Calcite on mindat.org. Pyrargyrite 5 photos of Argentopyrite associated with Pyrargyrite on mindat.org. Stephanite 4 photos of Argentopyrite associated with Stephanite on mindat.org. Fluorite 4 photos of Argentopyrite associated with Fluorite on mindat.org. Acanthite 3 photos of Argentopyrite associated with Acanthite on mindat.org. Arsenic 3 photos of Argentopyrite associated with Arsenic on mindat.org. Silver 2 photos of Argentopyrite associated with Silver on mindat.org. Baryte 2 photos of Argentopyrite associated with Baryte on mindat.org. Dyscrasite 1 photo of Argentopyrite associated with Dyscrasite on mindat.org. von Waltershausen, W.S. (1866) Einige nachträgliche Bemerkungen über den Silberkies. Nachrichten von der Königlichen Gesellschaft der Wissenschaften und der Georg-Augusts-Universität: 9: 66-68. Dana, J.D., Brush, G.J. (1868) 40A. Argentopyrite. in: A System of Mineralogy, Fifth Edition, John Wiley and Sons, New York. Schrauf, A. (1871) Mineralogische Beobachtungen III. Sitzungsberichte der Mathematisch-Naturwissenschaftlichen Classe der Kaiserlichen Akademie der Wissenschaften: 114: 123-205. Palache, C., Berman, H., Frondel, C. (1944) The System of Mineralogy of James Dwight Dana and Edward Salisbury Dana Yale University 1837-1892, Volume I: Elements, Sulfides, Sulfosalts, Oxides. John Wiley and Sons, Inc., New York. 7th edition, revised and enlarged, 834pp. : 248. Murdoch, J., Berry, L.G. (1954) X-ray measurements on argentopyrite. American Mineralogist: 39: 475–485. Czamanske, G.K. (1969) The stability of argentopyrite and sternbergite. Economic Geology: 64: 459-461. Czamanske, G.K., Larsen, R.R. (1969) The chemical identity and formula of argentopyrite and sternbergite. American Mineralogist: 54: 1198-1206. Šrein, V., Řídkošil, T., Kašpar, P., Šourek, J. 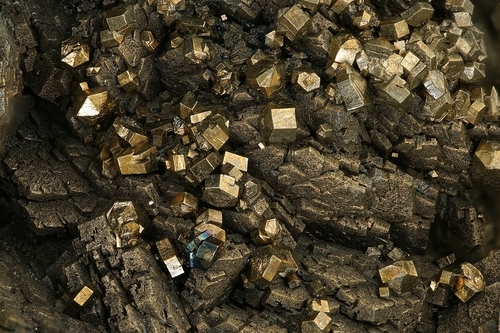 (1986) Argentopyrite and sternbergite from polymetallic veins of the skarn deposit Měděnec, Krušné hory Mts., Czechoslovakia. Neues Jahrbuch für Mineralogie, Abhandlungen: 154: 207–222. Yang, H., Pinch, W.W., Downs, R.T. (2009) Crystal structure of argentopyrite, AgFe2S3, and its relationship with cubanite. American Mineralogist: 94: 1727-1730. The following Argentopyrite specimens are currently listed for sale on minfind.com. Robert O. Meyer collection, from Ty Balacko. ⓘ Mountain River beryl showing ? Hewton, M. L. (2012). Investigation of the Mountain River beryl (emerald variety) occurrence, Mackenzie Mountains, Northwest Territories (MSc dissertation, Science: Department of Earth Sciences). ⓘ Tamdrost Mine (Tamdrhoust Mine) ? N. V. Sorokhtina, A.M. Asavin, V.G .Senin (2010) K-bearing sulfides in carbonatites of the Guli massif of the Polar Siberia. Abstracts of XXVII International conference School «Geochemistry of Alkaline rocks». – Moscow-Koktebel’. pp. 240 pp. Anthony, Bideaux, Bladh, Nichols: "Handbook of Mineralogy", Vol. 1, 1990; Ixer, R.A. and Stanley, C.J. (1987): Proceedings of the Yorkshire Geological Society 46, 133-139.